The soft shades of light shine through the tall, prickly trees, dropping shades of orange and yellow along the dusty road. The warm air breezes past my face as I ride my electric scooter. Traditionally dressed farmers with baskets balancing impossibly atop their heads, push cattle and goats through the fields beside me. In the distance, hundreds of temples dot the horizon. I stop my bike, and close my eyes. The only sound is the odd bleating of a goat or moo from a cow. This place is magical. This is Bagan in northern Myanmar. 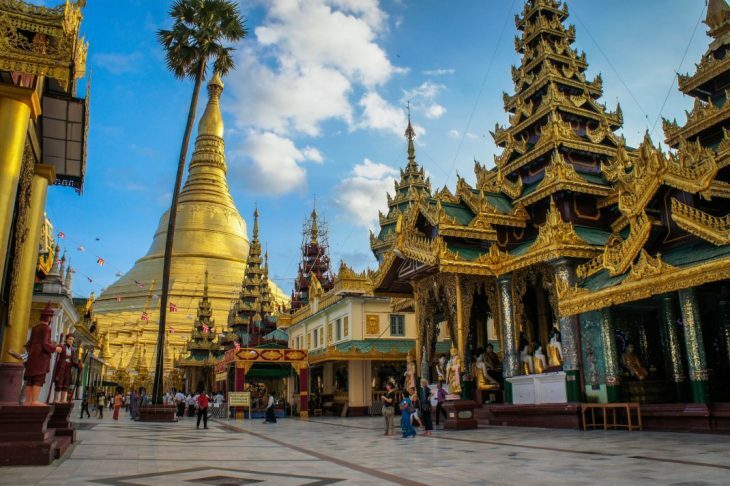 Its gaining popularity fast, but the Burmese are doing everything they can to control the massive influx of tourism. Only electric scooters or bicycles are allowed in effort to keep the air clean and noise level down. While the main road is paved, the rest are dirt. In between the thousands of temples are farmers’ fields, rather than shops or hotels. You can spend weeks exploring these cultural treasures! I have traveled to Myanmar twice in the past five years and this country lies so close to my heart. Spending over three months in Myanmar I could not get enough of it.